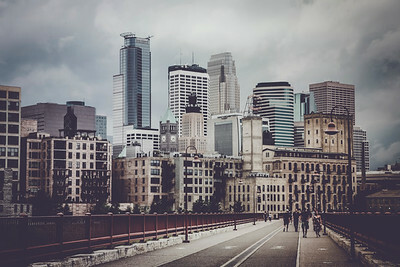 Photos of Minneapolis, Minnesota including downtown Minneapolis, the Minneapolis skyline and more. Order prints, license for commercial use. 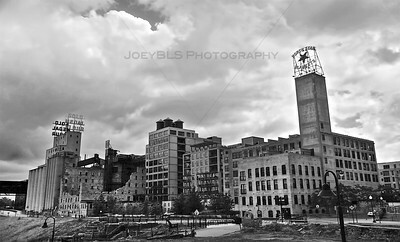 Historic Mill City Ruins in Minneapolis, MN. 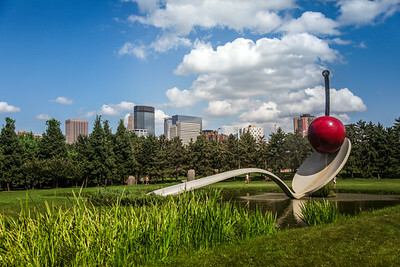 Located just outside of downtown Minneapolis along the Mississippi River. 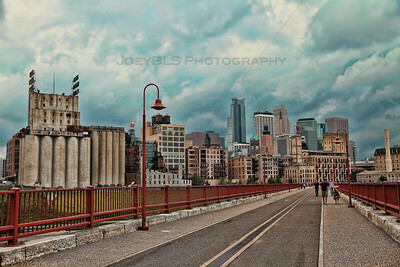 The historic Stone Arch Bridge pathway looking towards downtown Minneapolis, Minnesota. 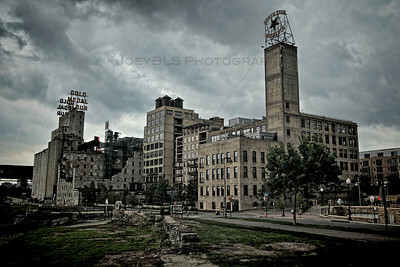 The historic mill city ruins in downtown Minneapolis, Minnesota. The mill district was the largest flour mill district in the world in the late 19th century and early 20th century. The mills were largely closed in the mid-20th century and were left abandoned for decades. Today, there is a museum built on the property and within the ruins of the Washburn A mill.